How many women have said to other women: Who Does She Think She Is? during the course of their lifetimes? 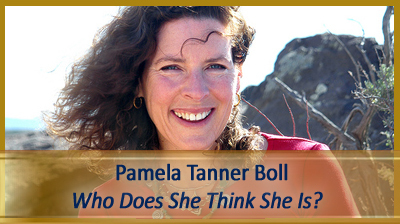 Well, Academy Award Winner, executive producer and director, Pamela Tanner Boll, of Mystic Artists Film Productions, spent the last 5 years exploring this question and as a result created a documentary of the same name. The film has been completed since March and she is going coast-to-coast for screenings and personal appearances to help promote the documentary. At a cost of just under $1 million, this Massachusetts resident, who spent many years in corporate America, is out and about promoting the film that explores the lives of five unique female artists from Hawaii to New Mexico to Boston and beyond. These are no ordinary women, and Pamela Tanner Boll is no ordinary woman herself. A writer, as well as painter, activist, and mother, the documentary showcases how the women cope with their day-to-day lives, in addition to trying to balance it all without losing their minds or their creativity. Accolade recently caught up with the filmmaker who was in Chicago at the time promoting Who Does She Think She Is? Not her first film, she won the Academy Award for Born into Brothels: The Kids of Calcuttas Red light District and she has several other films to her credit. Here is a closer look at this Superwoman, of sorts. Q: Did you always want to be a filmmaker? A: No, never even considered it! Out of my experience of motherhood, I started to take back my self. I worked about 4 years in commodity training, another 2-3 years in marketing and a year and half with a literary agency. Do I miss any of it? Not a bit. Q: So, how did the film come about? A: I came to filmmaking in a rather circuitous way. I had been writing short stories and essays for years, as well as painting. I wanted to tell the story of women who gave themselves permission to do creative work, even though that work is often without pay, is not considered real work or is undervalued by society. I never wanted to be a filmmaker. I had struggled with being an unpaid painter and writer for years and then heard about Maye Torres, a woman who was a full time artist and mother of three sons who had no real income outside of her art. I wanted to understand how she had the courage to pursue this path. Q: How did you choose the women? A: Through various connections and people I knew. Q: What was the main goal you had making the film? A: I tried really hard to do something that I truly believe and that is a womans role is to have multiple roles. It is always that issue. What I learned was that this multiplicity of roles is a richer way to live, and these women in their care giving roles are so awesomely courageous, we dont often see them this way. We usually see women frazzled and discontented. The women in my film are inspiring and you see that their work actually comes directly from the struggles in their lives and it enriches it. Q: How did your friend/producer Michelle Seligson fit into the equation? A: She and I began talking about the issue of creativity and womens lives. She knew Maye Torres and had introduced her to me. Michelle and I began to talk about wanting to tell this story and made a decision that it would be best told in film rather than writing. Neither of us had ever made a film. We spent nearly two years talking about the subject, reading books on arts and motherhood, on creativity, on womens lives and womens voices before we even looked for a camera person. A: I was a new director working with seasoned editors, camera and sound. Q: What lessons did you learn as a filmmaker this time around, and what advice do you have for first-time filmmakers? A: That you should stick with your vision. Persevere. A: Im still promoting this one! But I do have some ideas I have been toying around with. I am concerned with putting truth out in the world about the power of caring; caring gets so overlooked in our society. My aim is to build a story and build a narrative around it. I want people to see how caring is so necessary. Q: Do you identify with any of the women in the movie that you relate to? A: In certain respects each does. Maye has three boys as do I. She is a visual artist as am I. She is fierce. So am I. Angela (the actress) has enormous courage and really strong faith. I relate to the faith and am finding I have enormous courage. Q: Where was the documentary shot? A: Hawaii, Santa Fe, Taos, Rhode Island, New York City, Maine, Columbus Ohio, The Island of St. Vincents in the Grenadines, and Cambridge. Q: What was the best part of making it? A: It was empowering to see an idea come to reality. Also, I worked hard to change some of the structures in my marriage so that I had more of a voice and more support for work that I valued. Even my husband was not so sure. My three sons went from being skeptical, mom, you cant even turn on a camera to being my biggest fans and supporters. Each worked on the film under the camera crew or in promotion. Q: What does your husband think of the film? A: He is very proud, but he sick to death of it, [laughs] but he thinks it is really, really good. He was a little worried when I was making it because it is a sensitive subject for men. Ive had so many men come up to me and say, this applies to my life. He was afraid it was going to be an attacking film, but it is far from it. Q: What was the most challenging part of making this film? A: Having people tell me over and over that there was no film there in the footage after I tried to find a new editor. Also, dealing with my husband who, while proud of me and supportive, was not entirely sure this was a wise way to spend time, money and energy. Q: Biggest misconception about film making? A: Well, I think that one misconception is that film making is a lucrative endeavor. Very few documentaries make any money for their producers. 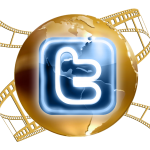 Most films are made because the film maker has persuaded an investor to give the money to them. Another misconception is that you have to have connections in the film world to make it. I entered this world sideways and knew no one. But, I had an idea and was able to persuade both my interviewees and my eventual production team that we could make this happen. I found that the documentary world is very open to outsiders. In fact, many documentary filmmakers come at this from other disciplines. They make films because they have a particular story to tell. Q: How does one write a documentary? A: I did not write the documentary till we began editing. I had a very firm conviction that I would follow these awesome amazing women as they made their way through their days, their art studios, their breakfast dishes, and errands, and loneliness and see what happened. I wanted to stay open to the story. I did have certain questions, the main one being, what made it possible for these women to NOT GIVE UP on their dreams? What made it possible for each of them to believe in their voice, their talent, their truth despite lack of support and often, little recognition? Q: How has the distribution been? A: One of the interesting things about the making of this film has been to figure out the best distribution. What we have found is that while we have done festival screenings (we were sold out at the Palm Springs Festival last week), we are actually building a huge word-of-mouthfollowing over the Internet. We have been written about in more than 100 blogs, as well as many print media such as the New York Times, Village Voice, WSJ, etc. We put the trailer on YouTube last summer and it has been ‘picked up by blogs all over the country. We are getting enquiries to screen from all over the world and are working on deals in Belgium, Australia, England and Norway, in some cases, these are limited theatrical or art group showings. 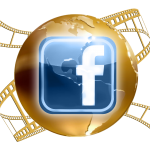 Q: Will winning an award from Accolade help your career and help promote your film? A: Obviously, any awards that we get are absolutely wonderful for the film and for me, too. It is a real honor. Any recognition is wonderful and we are pleased to be recognized by Accolade. Q: So, how has this experience changed you? A: I know that my voice matters and I work to put it out in to the world, and I am so grateful for the chance to do this. It is a blessing to make films that matter, so I do feel truly blessed. As for the title of the film, I felt it would really resonate with all women and it is a phrase that I have used myself many, many times.